*Therefore, also, have the keys of the kingdom of heaven been delivered to thee. ℣. Whatsoever thou shalt bind on earth, shall be bound also in heaven; and whatsoever thou shalt loose on earth, shall be loosed also in heaven. ℣. Let them exalt him in the church of the people. ℟. And let them praise him in the chair of the ancients. O God, who by delivering to the blessed Apostle Peter the keys of the kingdom of heaven, didst give him the power of binding and loosing: grant, that by his intercession, we may be freed from the bonds of our sins. Who livest, and resignest, world without end. Amen. (Commemoration of St. Paul) And, that we may conform to the tradition of the same Church of [the Bishop of] Rome, which never celebrates a Feast of St. Peter without making a commemoration of St. Paul, who, that he might add to the glory of her who is the Mother and Mistress of all Churches, came within her walls and paid her the triple tribute of his Apostolate, his teaching, and his martyrdom—let us say this Antiphon and Collect in honour of the Apostle of the Gentiles. Ant. Holy Apostle Paul! preacher of the truth, and Doctor of the Gentiles! Intercede for us to the God, that chose thee. ℣. Thou art a vessel of election, O holy Apostle Paul! ℟. The preacher of truth in the whole world. O God, who by the preaching of blessed Paul the Apostle, didst instruct the multitude of the Gentiles: grant, we beseech thee, that whilst we celebrate his memory, we may find the effects of his prayers. Through Christ our Lord. Amen. We are called upon, a second time, to honour St. Peter's Chair: first, it was his Pontificate in Rome; to-day, it is his Episcopate at Antioch. The seven years spent by the Prince of the Apostles in the second of these cities, were the grandest glory she ever had; and they are too important a portion of the life of St. Peter to be passed by without being noticed in the Christian Cycle. Three years had elapsed since our Lord's Ascension. The Church had already been made fruitful by martyrdom, and from Jerusalem she had spread into distant countries. Antioch, the first of the cities of Asia, had received the Gospel; and it was there, that they who professed the faith of Jesus were first called “Christians.” Jerusalem was doomed to destruction for her having not only refused to acknowledge, but also for her having crucified, the Messias: it was time for Peter, in whom resided the supreme power, to deprive the faithless City of the honour she had heretofore enjoyed, of possessing within her walls the Chair of the Apostolate. It was towards the Gentiles that the Holy Spirit drove those Clouds, which were shown to Isaias as the symbol of the holy Apostles (Isaias, lx. 8). Accordingly, it was in Antioch, the third Capital of the Roman Empire, that Peter first places the august Throne, on which, as Vice-gerent of Christ, he presides over the Church,—that new family, of which all Nations are invited to become members. But the progress of the Apostles was so rapid; the conquests they made, in spite of every opposition, were so extensive,—that the Vicar of Christ was inspired to leave Antioch, after he had honoured it with the Chair during the space of seven years. Alexandria, the second City of the Empire, is also to be made a See of Peter; and Rome, the Capital of the world, awaits the grand privilege, for which God had long been preparing her. Onwards, then, does the Prince advance, bearing with him the destinies of the Church; where he fixes his last abode, and where he dies, there will he have his Successor in his sublime dignity of Vicar of Christ. He leaves Antioch, making one of his disciples, Evodius, its Bishop. Evodius succeeds Peter as Bishop of Antioch; but that See is not to inherit the Headship of the Church, which goes whithersoever Peter goes. He sends Mark, another of his disciples, to take possession, in his name, of Alexandria; and this Church he would have be the second in the world, and though he has not ruled it in person, he raises it above that of Antioch. This done, he goes to Rome, where he permanently establishes that Chair, on which he will live, and teach, and rule, in his Successors, to the end of time. And here we have the origin of the three great Patriarchal Sees, which were the object of so much veneration in the early ages:—the first, is Rome, which is invested with all the prerogatives of the Prince of the Apostles, which, when dying, he transmitted to her; the second, is Alexandria, which owes her pre-eminence to Peter's adopting her as his second See; the third, is Antioch, whither he repaired in person, when he left Jerusalem to bring to the Gentiles the grace of adoption. If, therefore, Antioch is below Alexandria in rank, Alexandria never enjoyed the honour granted to Antioch,—of having been governed, in person, by him whom Christ appointed to be the supreme Pastor of his Church. Nothing, then, could be more just, than that Antioch should be honoured, in that she has had the privilege of having been, for seven years, the centre of Christendom; and this is the object of today's Feast. The Children of the Church have a right to feel a special interest in every solemnity that is kept in memory of St. Peter. The Father's Feast is a Feast for the whole family; for to him it owes its very life. If there be but one fold, it is because there is but one Shepherd. 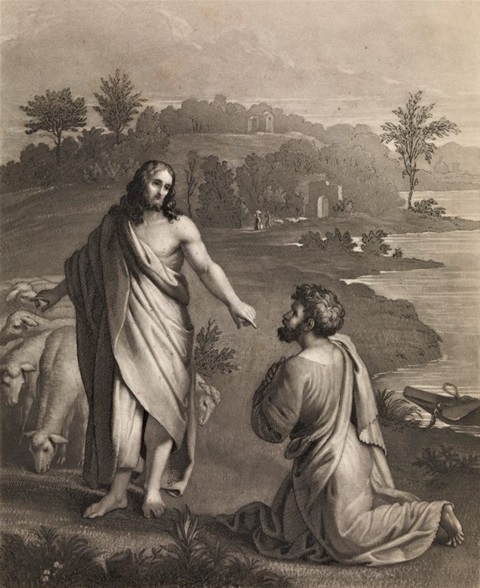 Let us, then, honour Peter's divine prerogative, to which Christianity owes its preservation; and let us often reflect upon the obligations we are under to the Apostolic See. On the Feast of the Chair at Rome, we saw how Faith is taught, and maintained, and propagated by the Mother-Church, which has inherited the promises made to Peter. To-day, let us consider the Apostolic See as the sole source of the legitimate Power, whereby mankind is ruled and governed in all that concerns eternal salvation. Controversy is not our object. All we aim at by giving these quotations from the Fathers on the prerogatives of Peter's Chair, is to excite the Faithful to be devoted to it and venerate it. This we have endeavoured to do, by showing them, that this Chair is the source of the spiritual authority, which, in its several degrees, rules and sanctifies them. Yes, all spiritual authority comes from Peter; all comes from the Bishop of Rome, in whom Peter will continue to govern the Church to the end of time. Jesus Christ is the founder of the Episcopate; it is the Holy Ghost who establishes Bishops to rule the Church;—but the mission, the institution, which assigns the Pastor his Flock, and the Flock its Pastor, these are given by Jesus Christ and the Holy Ghost through the ministry of Peter and his Successors..
How sacred, how divine, is this authority of the Keys, which is first given by heaven itself to the Roman Pontiff; then is delegated by him to the Prelates of the Church; and thus guides and blesses the whole Christian world! The Apostolic See has varied its mode of transmitting such an authority according to the circumstances of the several Ages; but the one source of the whole Power was always the same,—the Chair of Peter. We have already seen how, at the commencement, there were three Chairs: Rome, Alexandria, and Antioch; and all three were sources of the canonical institution of the Bishops of their respective provinces; but they were all three Chairs of Peter, for they were founded by him that they might preside over their Patriarchates, as St. Leo, St. Gelasius, and St. Gregory the Great, expressly teach. But, of these three Chairs, the Pontiff of Rome had his authority and his institution from heaven; whereas, the two other Patriarchs could not exercise their rights, until they were recognised and confirmed by him who was Peter's successor, as Vicar of Christ. Later on, two other Sees were added to these first three: but it was only by the consent of the Roman Pontiff that Constantinople and Jerusalem obtained such an honour. Let us notice, too, the difference there is between the accidental honours conferred on four of these Churches, and the divine prerogative of the Church of Rome. By God's permission, the Sees of Alexandria, Antioch, Constantinople, and Jerusalem, were defiled by heresy; they became Chairs of pestilence (Ps, i. 1); and, having corrupted the faith they received from Rome, they could not transmit to others the mission they themselves had forfeited. Sad indeed was the ruin of such pillars as these! Peter's hand had placed them in the Church. They had merited the love and veneration of men; but they fell; and their fall gave one more proof of the solidity of that edifice, which Christ himself had built on Peter. The unity of the Church was made more visible. Obliged by the treachery of her own favoured children to deprive them of the privileges they had received from her, Rome was, more evidently than ever, the sole source of pastoral Power. We, then, both priests and people, have a right to know whence our Pastors have received their Power. From whose hand have they received the Keys? If their mission come from the Apostolic See, let us honour and obey them, for they are sent to us by Jesus Christ, who has invested them, through Peter, with his own authority. If they claim our obedience without having been sent by the Bishop of Rome, we must refuse to receive them, for they are not acknowledged by Christ as his Ministers. The holy anointing may have conferred on them the sacred character of the Episcopate;—it matters not; they must be as aliens to us, for they have not been sent,—they are not Pastors. Thus it is, that the Divine Founder of the Church, who willed that she should be a City seated on a mountain (St. Matth, v. 14, 15), gave her Visibility; it was an essential requisite; for since all were called to enter her pale, all must be able to see her. But he was not satisfied with this. He moreover willed, that the spiritual power exercised by her Pastors should come from a visible source; so that the Faithful might have a sure means of verifying the claims of those who were to guide them in His name. Our Lord, we say it reverently, owed this to us; for, on the Last Day, he will not receive us as his Children, unless we shall have been members of his Church, and have lived in union with him by the ministry of Pastors lawfully constituted. Honour, then, and submission to Jesus in his Vicar! honour and submission to the Vicar of Christ in the Pastors he sends! That Saint Peter, before he went to Rome, founded the see of Antioch, is attested by Eusebius, Origen, St. Jerom, St. Innocent, Pope Gelasius, in his Roman Council, Saint Chrysostom, and others. It was just that the prince of the apostles should take this city under his particular care and inspection, which was then the capital of the East, and in which the faith took so early and so deep root as to give birth in it to the name of Christians. St. Chrysostom says, that St. Peter made there a long stay: St. Gregory the Great, that he was seven years bishop of Antioch; not that he resided there all that time, but only that he had a particular care over that church. If he sat twenty-five years at Rome, the date of his establishing his chair at Antioch must be within three years after our Saviour's ascension; for in that supposition he must have gone to Rome in the second year of Claudius. The festival of St. Peter's chair in general, Natale Petri de Cathedrâ, is marked on this day in the most ancient calendar extant, made in the time of pope Liberius, about the year 354. It also occurs in Gregory's sacramentary, and in all the martyrologies. It was kept in France in the sixth century, as appears from the council of Tours, and from Le Cointe. In the first ages it was customary, especially in the East, for every Christian to keep the anniversary of his baptism, on which he renewed his baptismal vows, and gave thanks to God for his heavenly adoption: this they called their spiritual birthday. The bishops in like manner kept the anniversary of their own consecration, as appears from four sermons of St. Leo on the anniversary of his accession or assumption to the pontifical dignity; and this was frequently continued by the people after their decease, out of respect to their memory. St. Leo says, we ought to celebrate the chair of St. Peter with no less joy than the day of his martyrdom; for as in this he was exalted to a throne of glory in heaven, so by the former he was installed head of the church on earth. On this festival we are especially bound to adore and thank the divine goodness for the establishment and propagation of his church, and earnestly to pray that in his mercy he preserve the same, and dilate its pale, that his name may be glorified by all nations, and by all hearts, to the boundaries of the earth, for his divine honor and the salvation of souls, framed to his divine image, and the price of his adorable blood. The church of Christ is his spiritual kingdom: he is not only the architect and founder, but continues to govern it, and by his spirit to animate its members to the end of the world as its invisible head: though he has left in St. Peter and his successors a vicar, or lieutenant, as a visible head, with an established hierarchy for its exterior government. If we love him and desire his honor, if we love men on so many titles linked with us, can we cease weeping and praying, that by his sweet omnipotent grace he subdue all the enemies of his church, converting to it all infidels and apostates? In its very bosom sinners fight against him. Though these continue his members by faith, they are dead members, because he lives not in them by his grace and charity, reigns not in their hearts, animates them not with his spirit. He will indeed always live by grace and sanctity in many members of his mystical body. Let us pray that by the destruction of the tyranny of sin all souls may subject themselves to the reign of his holy love. Good Jesus! for your mercy's sake, hear me in this above all other petitions: never suffer me to be separated from you by forfeiting your holy love: may I remain always rooted and grounded in your charity, as is the will of your Father (Eph, iii. 17).